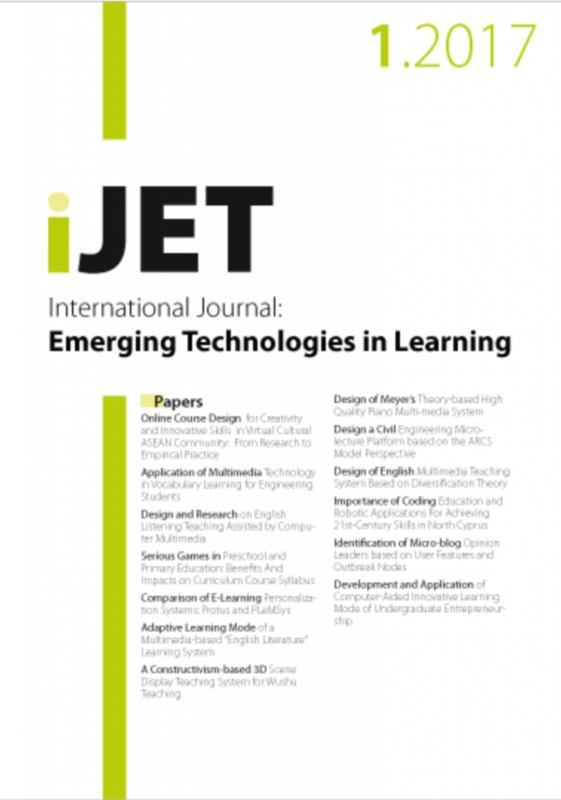 Issue 12(08) of our journal on emerging technologies for learning got published. Enjoy the readings as usual for free :-). Issue 12(03) of our journal on emerging technologies for learning got published. Enjoy the readings as usual for free :-). How to Assist Tutors to Rebuild Groups Within an ITS by Exploiting Traces. Case of a Closed Forum.